North China University of Science and Technology is a university in Tangshan City, Hebei Province, People’s Republic of China. North China University of Science and Technology ( Old name Hebei United University ), located in Tangshan the most promising city at the center of Bohai Bay Rim, is one of the ten key universities of Hebei Province, China. It is a comprehensive university taking engineering and medicine as the backbone and pursuing a harmonious development of engineering, medicine, sciences, economics, management, law and humanities. Education programs are provided for masters, bachelors, international students and adult students. North China University of Science and Technology , old name Hebei United University is a comprehensive university taking engineering and medicine as the backbone and pursuing a harmonious development of engineering, medicine, sciences, economics, management, law and humanities. 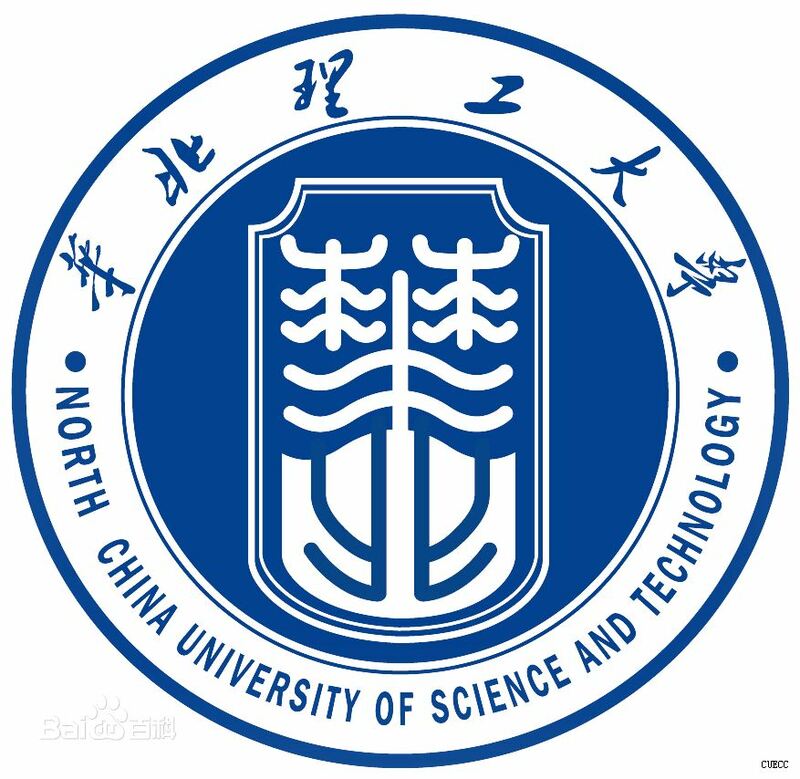 North China University of Science and Technology was co-established by Hebei Polytechnic University and North China Coal Medical College under the approval of the Ministry of Education in May 2010. Substantially the two universities are combined into ONE. Hebei Polytechnic University was founded by Hebei Province and the Ministry of Coal Industry in 1958 and was named Tangshan Institute of Mining and Metallurgy. It was composed of some departments of Tangshan Railway College and the Department of Mining and Metallurgy of Tianjin University whose origin was the Department of Mining of Peiyang University founded in 1895 as the first educational institution of higher learning in China. Since its founding, the university successively changed its name to Hebei Institute of Mining and Metallurgy, Tangshan Institute of Science and Technology, and Hebei Institute of Technology. In May 2004, it was approved by the Ministry of Education for its full university status and changed its name to Hebei Polytechnic University. North China Coal Medical College traces its history back to Kailuan Vocational School of Nursing founded in 1926. With its development the college changed its name successively to Tangshan Coal Mine Medical College, Hebei Medical College, and the current name North China Coal Medical College was adopted in 1984. Carrying forward the spirits of Peiyang University, Tianjin University, Tangshan Railway College and Kailuan Coal Mine, the two universities have developed rapidly and made great contributions to the development of higher education in China. Hu Jintao, Jiang Zemin, Wen Jiabao, Zhu Rongji, Jia qinglin, Li Changchun and many other state leaders, foreign diplomats and guests have paid inspection visit to North China University of Science and Technology. The university has good teaching resources. It has 1538 teachers including 377 professors and 566 associate professors. 473 teachers hold doctoral degrees. 80 scholars are awarded honorary titles by the State, Province and Ministry of Education. 20 academicians are employed to work part-time. There are over 48,000 full-time students of all kinds, including more than 170 international students. The university has 8 campuses covering an area of 1,540,000㎡, a floor area of 1,000,000㎡. The total value of teaching and research equipment is 500 million Yuan RMB. It possesses first-class language labs, multimedia classrooms, E-reading rooms, CAD centers, computing centers, audio-visual centers and network centers. The A level university library has a possession of 2.1 million books and journals, 2.6 million kinds of E-books, and 30 large-scale databases. The university is the publisher of 6 journals in engineering, natural sciences, social sciences and medicine. The first-class affiliated hospital with outstanding professionals and advanced facilities has passed the ISO9001 authentication. North China University of Science and Technology started to offer master programs in 1985. From 1998 it began to cooperate with Chinese Academy of Sciences, Northeastern University, University of Science and Technology Beijing, China Medical University and so on to provide joint doctoral programs. In 2009 the University was approved as one of the Doctorate Program Construction Unit and will begin to offer doctoral programs in three years. The university consists of 31 colleges, offering 80 undergraduate programs, 138 master programs including 4 professional degree programs and 12 masters of engineering programs. 10 specials are approved as state level characteristic specialties: Mining Engineering, Metallurgical Engineering, Metal Materials Engineering, Clinical Medicine, Mechanical Design Manufacturing and Automation, Rehabilitation Therapeutics, Chemical Engineering and Technology, Nursing, Civil Engineering, and Preventive medicine. 12 disciplines are approved provincial key disciplines: Metallurgy, Mining Engineering, Disaster Prevention and Mitigation Engineering, Materials Processing Engineering, Materials Science, Bone Surgery, Epidemic and Vital Statistics, Industrial Economics, Linguistics and Applied Linguistics, Respiratory Medicine, Labor Health and Environment Health, Pathology and Physiology. Six key laboratories and research centers of Hebei Province are established in the university: Modern Metallurgical Technology Lab of Hebei Province, Inorganic Nonmetallic Materials Lab of Hebei Province, Earthquake Engineering Research Center of Hebei Province, Mine Developing and Safety Technology Lab of Hebei Province, Coal Mine Sanitation and Safety Lab of Hebei Province, Coal Chemical Engineering Research Center of Hebei Province. The university also possesses Mine Medicare Center Training Base of State Administration of Work Safety, Injury Research Institute of Hebei Province, Philosophy Social Science Research Base of Hebei Province, Tangshan Scientific Development Research Institute of Chinese Academy of Sciences, Tangshan City and Countryside Integration Research Center, Tangshan Academician Workstation and 13 key labs of Tangshan City. Quality of education is constantly paid the highest attention. In recent years the university has scored A in National Assessment for Undergraduate Education by Ministry of Education, National Assessment for English Majors, National Assessment for Education Management and National Assessment for Adult Education. 48 awards for outstanding teaching achievements have been rewarded by state and provincial authorities. Students of North China University of Science and Technology have obtained more than 800 awards in all kinds of contests, including U.S College Students Mathematic Modeling, National E-Design Contest, National English Speech Contest, etc. Great achievements have been made in scientific research. In recent years about 60 awards at state and provincial levels have been obtained. About 142 scientific projects have been sponsored by “11th five-year Plan” for National Technology Support, “863” Program, “973” Program and National Natural Science Research Foundation. 279 patents have been authorized. Cooperating with enterprises, over 200 joint research projects have been developed. The findings of more than 600 projects have been commercialized, producing about 12 billion Yuan RMB worth of economic benefits. Minimum 60% marks in Biology and English, more than 50% in Physics and Chemistry. Age Limit is 25 Years. Less than 17 Years students are not accepted. The student between 17-18 years will provide power of attorney attested by Chinese Embassy. There is new student entry scholarship of 7000RMB which will be given after payment of 2nd year University fee . All those students who have 70% Marks in English & Biology and 65% in Chemistry & Biology will get this scholarship. Submit your educational documents and pay admission fee of 1000RMB to us and we will apply for your admission letter. After receiving admission letter you are required to provide all above required documents for JW202 and security deposit of 3000RMB which will be deducted from fee package and if your visa is rejected by Chinese embassy then you can submit original copy of admission letter and JW202 to us and can get refund of security deposit of 3000RMB. Note: Please note that 1000RMB of admission fee is non refundable once it’s paid and non countable in the fee package. PG Program in Medical Subjects is running successfully in NCUST. IMPRESSIVE FEATURES OF NORTH CHINA UNIVERSITY OF SCIENCE AND TECHNOLOGY, CHINA. 1) Many Foreign batches already graduates from University in MBBS Program with more than 732 Student & More than 100 Pakistani Students ( Boys & girls ) are Studying in MBBS Program. 3) Started MBBS Project for Foreign Students since long.